I notice many students forget how discriminant works! I think I should inform A-level students that they need to know how it works and that is one thing they should not return to their O-level teachers. So I thought I share a bit on how to effectively, get it correct and also use it. At the same time, I hope to better the students’ understanding too. 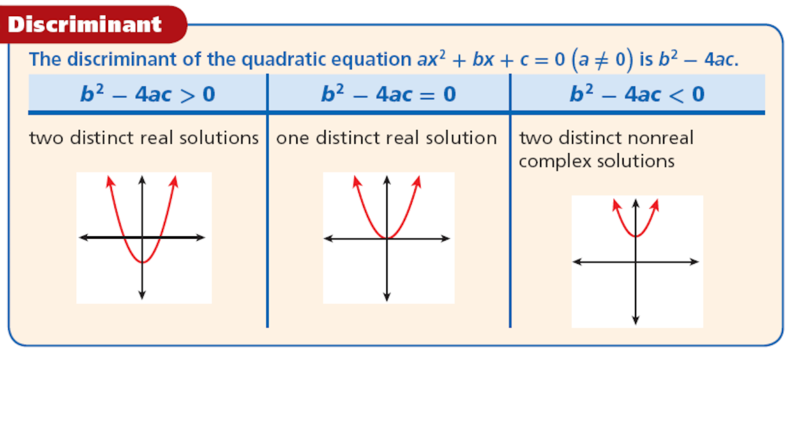 Let us first look at the quadratic formula that is well engrained in our heads. Now do we see a very familiar formula in there? Yes, its our discriminant formula, !!! So how does it work, alongside with roots. Let’s look at what a root is next, a root is loosely put, a solution to the equation. I hope it is slowly making sense. When the discriminant is negative, we have a which is imaginary, that means we have NO real roots!! And when the discriminant is zero, we have so we only have one single root, that is . BUT if we have a positive discriminant, than due to the there, we end up with two roots. This is a question worth looking at from A-levels which test us on discriminant.